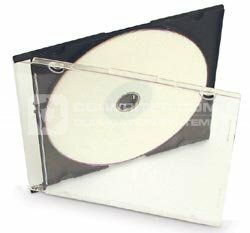 Purchase some of these great slimline CD cases today and store your CD product without fear of it being lost or damaged. Picture for illustration only. Slimline . CD . Jewel . Cases . 1000 . pack . Unbranded .